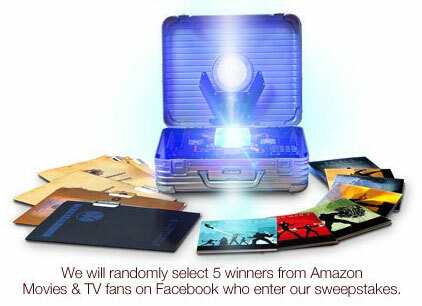 Normally we wouldn’t post a story about a promotion but if you go to Amazon right now and view just about any Blu-ray Disc or DVD product you’ll find a link to the Marvel Cinematic Universe: Phase One – Avengers Assembled box set giveaway. Amazon will pick 5 winners in the sweepstakes from those who have “Liked” their Facebook page and entered their email address and phone number. Here’s a link to Lorax on Blu-ray which displays the sweepstakes info — just scroll down below the disc pricing. But hurry because this giveaway ends on August 4th. Good luck!